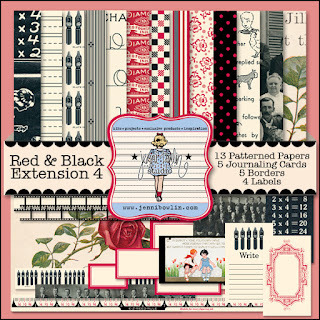 Jennie Bowlin has a wonderful kit called Red & Black Extension 4 on sale today and you will want to grab it before midnight tonight. It is on sale for 50% off. All of the papers in my Mother's Day layout are from the kit. 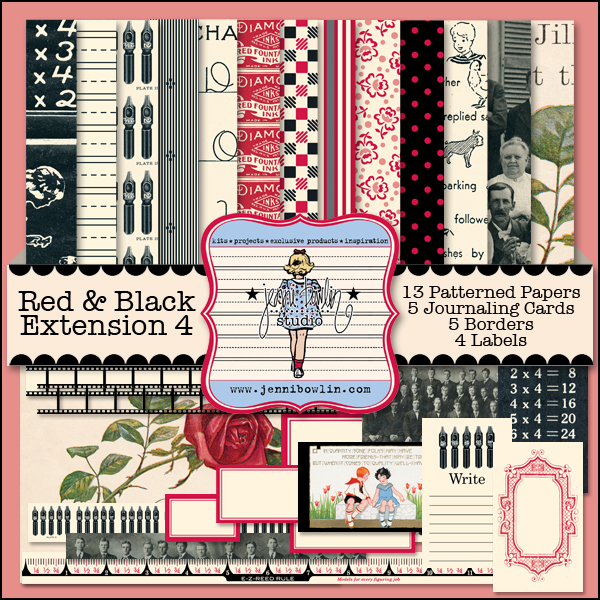 I love the vintage feel of the papers, so I used a Sepia tone on my photo. What a wonderful day we spent with our daughter and her extended family. 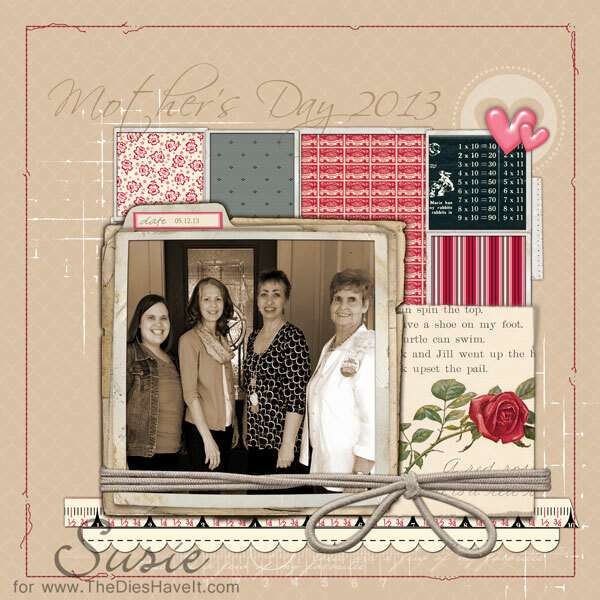 All of the moms were treated like royalty!